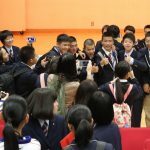 In 2015, the Japanese government’s Ministry of Education, Culture, Sports, Science and Technology introduced a number of designated Super Global High Schools (SGH) in an effort to develop young Japanese people who would become future international leaders. Such schools aim to instill a genuine interest in students in the problems facing today’s world, develop communication skills and acquire problem-solving skills that will help them at an international level in the future. Its ultimate aim is to develop global leaders. 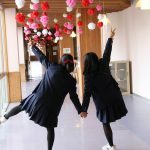 Kunori Gakuen High School became a Super Global Associated High School in 2016. We designed the program GLOBAL is LOCAL – Developing Future Leaders, in which students work in various local projects but with a better global future for everyone in mind. Our goal is to aid in the development of leaders who will exemplify the school’s motto of dignity and dedication in the following ways. (1)Global is Local – working on a local level bring about change on a global level. Dignity and dedication in everyday activities leading to dignity and dedication on a greater scale. ①To foster ideas of globalization in relation to human beings and their needs across the globe. ②To be accepting and respectful of people’s differences despite national and cultural differences. ③To develop the interpersonal and communication skills necessary for leaders to connect and build relationships. ④To cultivate students’ reasoning, creativity, and innovation skills in order to discover their missions in life. The Progress Course includes the Global Learning Course in which first, second and third year students work together to discuss global issues such as poverty and food shortages around the world. They exchange and discuss ideas, actions, and potential solutions to the problems affecting the global community in a format modeled on the United Nations Assembly. In their second year, the students are given the opportunity to gain practical experience in Hawaii, doing research and international exchange activities with local high school students. 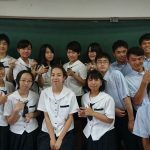 In conjunction with the international exchange students from Yamagata University, they host a global summer camp. Finally, the students helped organize and participate in the first ever Hybrid World Café, an online meeting with global representatives from across the world. The students study issues of global poverty, the deprivation of children’s right to education in many countries, and the discrepancy between many countries’ military budgets and their education budgets. Our students had a class which was held simultaneously with other high school students around the world. They researched various world topics and worked together to find theoretical solutions to these problems. They got much inspiration from Malala Yousakzai and her efforts. The final task was writing a letter which they had delivered to Prime Minister Abe discussing their findings and detailing feasible actions to help reduce or aid in solving certain global issues. Towards the end of the year, students are divided into groups. Each group is assigned a country, whose socio-cultural, political, economic and environmental policies they study. The goal of this project is to enable students to identify and consider the real-world issues affecting their assigned country. Researching the socio-cultural, political, economic and environmental policies of these nations, this grass roots approach encourages students to understand the depth of the issues affecting countries and the complexity of policy implementation, both nationally and internationally. With the aim of learning more about the world, a model United Nations assembly is held annually. This model UN assembly acts as an opportunity for our students to realize and bring about pragmatic and realistic settlements between model nations – a process that requires our students to understand the policies, stances and environmental problems of individual nations. This leads to students taking on a wide and varied range of approaches to broaden their perspectives and ultimately step into the position of the country they represent. Through this, an understanding of how to deal with others on an international level is achieved. 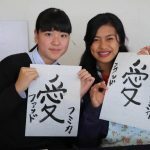 We aim to give our students the chance to experience a diverse range of activities and through this project we hope to equip our students with skills that will help them in a global world such as analytical skills, reconciliatory skills, skills to bring about harmony among people and general communication skills. 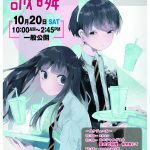 This program is held in the first half of the summer vacation. It is attended by progress and universal course students. 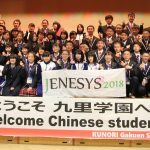 Since 2016, the Yamagata University Department of Engineering has been involved in this program with exchange students participating together with our students in various activities. In 2016, the camp was held at Alb Tengendai on July 23 and July 24. A total of six exchange students, three from China, two from Kenya and one from Indonesia stayed with our students in Tengendai. Each of the exchange students and our students formed groups and did a range of different group activities together. Mr. Takahashi, who currently works for the Jordan branch of JICA, has an extensive background in the field of Global Cooperation, having worked for a NPO in India, and having taken part in long-term projects in Zambia for the Japan International Cooperation Agency (JICA) as a specialist, as well as projects in Ethiopia. Mr. Takahashi’s presentation touched on the issues requiring international cooperation and why such issues are so need to be addressed. Speaking about the importance of people with international mind-sets to the world of international cooperation, Mr. Takahashi also spoke of the enjoyment he got from his work. Mr Bigby, who originally worked in Japan as an ALT and then started his own IT related company in the U.K, gave a talk on the importance of setting out into the world and continuing to challenge yourself. With the aid of Professor at Shokei Gakuin University and our schools’ Super Global High School Management and Guidance Committee member, Professor Akihiko Morita (2017 researcher at Columbia University), as well as Hippo Family Club (an organization promoting the natural acquisition of multiple languages) – a hyper world café was held which saw the participants from around the world participate and communicate in real time. The qualities and abilities needed for the next generation of global leaders must first be facilitated in the classroom. As such, we have strived to improve the way our classes are taught. Specifically, teaching methods such as interactive learning and task-based learning, encourage our students to think critically, express their thoughts, be creative, present their ideas and cooperate with others. We are looking forward to implementing these interactive and task-based learning methods to other subjects, but students have been greatly motivated by taking part in debating competitions. Their English classes have been centered on interactive learning with such goals in mind. 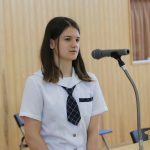 Recently our students prepared for and participated in an English debating competition held at Rikkyo University. We believe that students volunteering to take part in such events is the result of our active-learning approach.